Last year I made a list of a ton of games I wanted to be sure to play in 2017. Overall I did a respectable job at trying most of those games, although I did miss a few of them. I thought I would make the same approach this year, but going with ten games to fit into ten different “categories” of my choosing. There are so many great games out there, but these are the ones highest on my list to try right now. This game intrigues me so much. A heavy game for exactly three players. Asymmetric sides. Shifting of power over the course of the game. A dynamic tension that will come from having the presence of three sides vying for power over the course of the game. This is a game that is likely to be difficult to bring and play at a random game night, but is the perfect game to coordinate a play. It is a Capstone title, which means I already am inclined to give it a try (thus the category for a Capstone game!) I definitely hope to play all of the Capstone games out there, but this one stands at the top of my list of their games I hope to play. Which of the Capstone Games titles do you enjoy the most? As of this writing I have played only four of the top 10 games listed on BGG. I definitely want to try a few of the others in there, but the one that stands out most is Terra Mystica. It is that game I hear talked about so often, yet I am lacking a play of the game. It sounds like my type of game, one that I think my wife would enjoy playing as well. I know the new hotness is Gaia Project, but I would rather start with the game which paved the way for some of the other current games. Which group should I play as for my first game? Let me know in the comments below! Hoo boy, I know I need to eventually tackle a train game. As in an 18XX game, not just Ticket to Ride or Whistle Stop. Before plunging into the deep end, I think it’d be beneficial to visit this classic in the genre. It is long out of print, but hopefully someone local has a copy that they’d be willing to pull out and teach. With around 160 maps to choose from, this is the ultimate game for variety out there. Let me know which map(s) are best to learn on for each player count! I’m sure the teacher will already have an idea in mind, but if I could only play one map at __ player count, what should it be? There are a handful of Rosenburg big-box games I haven’t played yet: Fields of Arle, Glass Roads, Le Havre. But the one game I want to try more than any other right now would be this out of print classic. I fully blame Edward and Amanda at Heavy Cardboard for this one, as their review of the game last year sucked me in and made me want to play this. The opportunity never came up last year, but I am going to work hard to get a chance to try it this year. I know at least one local player has a copy, which means there is a chance. Let me know which Rosenburg game is YOUR favorite! Like the train games, this will be the year I try out a COIN game. There are plenty of them to choose from at this point, although only two of them have a strong theme appeal to me (Pendragon & Falling Sky). I was so excited about the release of Pendragon when I heard about it last year, and this one has a strong appeal with both a solo mode and what should be a great 2-player experience. I’m a huge Arthurian/Middle Ages fan, and that makes this the ideal game to reel me into the COIN system. I’m letting myself buy at most two games this year. This one has a very high chance of being one of those two purchases. Which COIN game in the series is your favorite so far? What are some of your favorite filler games? Let me know in the comments below! This game was going to make the list already, but I decided to shift it here in order to open #9 for a different title. I have heard a ton of great things about this game, and I know of a few locals who own the game and at least one person who proclaims it as their favorite game. This might be among the easiest games on this list to get a chance to play. This is one of those games that, initially, I had no interest in playing when I heard about it. Thankfully, my tastes and interests have grown over time and now this game easily makes my list of ones I can’t wait to try out. Let’s have some fun with this spot…2017 is in the books and soon we’ll learn the games Edward & Amanda will be nominating for their Golden Elephant awards. Any guesses on what games we might see as finalists for the award? I played my first Lacerda game last year when I tried out Lisboa. I still crave a second play of that game. I’ve heard mixed opinions on which of his games are the best, but the one that seems to be universally proclaimed as being good is Vinhos. I really enjoyed playing Viticulture, which is that other wine-making game out there. And yes, I know the two games are as different as can be. This game will probably melt my brain, much like did during Lisboa, and I can’t wait to experience the game that kicked off Vital’s career as a designer. I am reasonably certain this should be an easy game to find a willing teacher for, and I have a feeling that 2018 might turn into a quest to try all of Vital’s games so far. Which Lacerda game is your favorite? There seems to be a great divide over this question, so I am curious which one you love most and why! Splotter is a company that holds a high reputation for games in the industry. I haven’t played a single one yet, and if this list works out I will have played at least two when I finish these ten games. It was a struggle to decide between this, The Great Zimbabwe, and Roads & Boats for the spot. TGZ was just mentioned by Edward as a Gateway to Heavier Games. Travis at Low Player Count sings the praises for Roads & Boats on pretty much every other episode of their podcast. At least it feels that way! But I think the recent reprint of Antiquity signals a good time to try this one out. I’ve seen a few locals posting about the game, which means it is being purchased and has people who would likely want to play the game. The theme grabs me more than any other Splotter title, as well, so I’ll be looking forward to trying this one out. You know the drill by now: which is your favorite Splotter title? Yesterday I created a poll with ten games. Essentially, the next ten in consideration for this list. The ones that didn’t quite make the cut. What I didn’t expect was for one of the games on that list to win by a landslide. It was an overwhelming majority voting for Keyflower, which was a game I hoped to play in 2017 (it made honorable mention on my list) but the one time I cam closest to playing the game, it didn’t pan out. Too many people wanted to play a game and, rather than splitting into two groups, we played Bohnanza with 7 players. Oh, how I wish it had been Keyflower instead. This is one I know my wife would enjoy, too, as it is a unique worker placement game. What better way to hook her onto the Key-series, just like she’s hooked onto Rosenburg, than by playing this title with her? Wide open question on this one: if someone said you could play only one game this year, which would you pick and why? It could be a new game, something new to you, or your overall favorite game! As the title implies, I will not be attending Essen this year. As great as it would be to go, and as cool as Essen would be for a first convention, this one is just not in my cards for 2017. Probably not even 2018. But that won’t prevent me from being able to look at the releases and seeing what games I would be excited about. There are two sections included here: games themselves that I’d like to check out at Essen (some are already out, some are rereleases, and others are new and upcoming games), and a section with a few expansions I’m excited to try. Lisboa – Diving right into a heavy game here…I’m not sure why but this is one of the games that is near the top of my wish list. I haven’t played a Lacerda game yet, but I see no reason why this couldn’t or shouldn’t be our first. The theme and mechanics of the game drew me in as I listened to Heavy Cardboard talk about the game. It was enough to convince me that this is a game I don’t want to miss out on. Raiders of the North Sea – If Lisboa is near the top of my wish list, this game resides at the pinnacle. A Viking worker placement game that doesn’t use dice for combat. I think we’ll both find a lot of things to enjoy about this game, and I keep hearing fantastic things about the mechanics within the game. Tiny Epic Quest – I have played and really enjoyed a few of the Tiny Epic games. When this was described as Zelda in a box, I knew it would be only a matter of time before I would play the game. I’m still seeking that opportunity, and can’t wait until I get to experience this one. Whistle Stop – Okay, so I’ve played this game once. But man, there are so many things about the game I’d like to revisit and try again. It was a really fun game, and my stock-heavy strategy fell just short of victory. A few wiser decisions along the way and I might have ended up with the win instead of a loss. Bonus points for this being a game I am sure my wife would enjoy. Antiquity (3rd Edition) – This one appears up here because it is a new edition of an existing game. It would be my first play of a Splotter game, and why not jump in with this instead of something like The Great Zimbabwe? I really want to try some Splotter games, as I am coming to enjoy heavy games a lot. And so this one makes it onto my radar. Iron Dragon (Second Edition) – A fantasy train game? This might be one that I could get my wife to try out, probably as a next-step after introducing her to Whistle Stop. It might take time to warm her up to trying an 18XX game, but this one should be one we’ll enjoy together. The King’s Abbey (Second Edition) – A rerelease of a worker placement set in Medieval times. Are you kidding me? You get to construct an Abbey, go on crusades, and more during a period of history that I really enjoy? And since it is a worker placement game my wife might be interested, too? Sign me up! Charterstone – No surprise here, this game had to make the cut. I’ve been so excited for the upcoming Stonemaier Games release, and nothing that I have heard has changed that. It is a legacy Worker Placement game that can be played by 1-6 players, it’ll allow you to build your own unique charters that are replayable when the campaign is finished, and I am yet to meet a Stonemaier Games game that I don’t like. This is as close to a must-have as it gets for me. The Climbers – Capstone Games is tied to this release, and I’ve had the same track record with Capstone as I have with Stonemaier. If that wasn’t enough, this was Edward at Heavy Cardboard’s top “Thinky Filler” game, and this is a game that will command attention when played at a game night. I can’t wait to try this one out and find out why Edward has been singing its praises. Hunt for the Ring – My favorite game of all time is War of the Ring by Ares Games. I was so disappointed by The Battle of Five Armies because it was, essentially, War of the Ring Lite and I found myself always wanting to play War of the Ring instead. This game promises to be something completely different, making it a must-try for me. The Tolkien fan in me demands it. The Ruhr: A Story of Coal Trade – We enjoyed Haspelknecht so much that I am definitely interested in exploring the rest of the Coal Trilogy. We don’t play many pick up & deliver games, but that doesn’t mean there isn’t a place for that in our collection. This one should be very solid, and being a Capstones Game is an added plus. Shadows in Kyoto – The successor to Hanamikoji. If I knew nothing else about this game, that in itself would be enough. But this sounds fantastic, being a game completely different from Hanamikoji but with the same outstanding artwork. I really, really can’t wait to try this game. Albedo – This one is a tough one to have make the cut, but I think it just manages. I’ve had my eye on Core Worlds this year, and this game takes some inspiration from that. It is a deckbuilder with what sounds like a built-in “trashing” mechanism that sounds fantastic. This will be a hard sell to the wife, but she’ll tolerate a few plays of a deckbuilder. Who knows, this might join Mystic Vale as a deckbuilder she actually enjoys! Alien Artifacts – This game has been described as a successor to Race for the Galaxy. Considering that Race is one of my favorite games, and has been for years, that makes me immediately interested in trying the game. Will it replace Race? I doubt it is possible, but I would love to try this one out and see how it stacks up. The Cousins’ War – This one is another small one that deserves to remain on my radar. I enjoy 2-player only games that have a small footprint, small component list, and play quickly. This promises to provide all of that in this duel representing the War of the Roses. My wife may not like that it has some dice in there, but from what I’ve read this has enough things going on that it won’t be a dealbreaker for her. Fantastiqa Rival Realms – This is another 2-player only game that makes the list. I’ve heard great things about Fantastiqa from reviewers like Mina’s Fresh Cardboard in the past, and a 2-player spinoff game sounds like it is worth checking out. Players are magicians building the landscape, finding beasts, creating artifacts, and more in a head-to-head competition. Yes, please! Harvest – We really enjoyed Harbour once we got the rules of it right, and so this game promises to be a worker placement game we’d like as well. It isn’t supposed to merely be a retheming of Harbour, so I am excited to see how this one turns out and what is different. Keyper – Holy buckets, this is apparently the eighth game in the Key series of games which started the Worker Placement genre. I’ve really wanted to try Keyflower, but I think any of these would be a fantastic place to jump in and play. My wife loves worker placement games, and something tells me this one wouldn’t be a disappointment at all for us. Nusfjord – Rosenberg. Worker placement. My wife would drag me along to try this one out just from those three words. I do like the idea of leaving farming behind and instead managing a fishing fleet. It also sounds like this has some similarities mechanically to Ora et Labora and Agricola, both great Rosenberg games. Yep, this had to make the list. Mystic Vale: Mana Storm – I was surprised when she loved Mystic Vale, and so of course I want to expand the card pool and strategies available in this deckbuilding game. And this promises to accomplish both of those things. Scythe: The Wind Gambit – Airships in Scythe! No more need to unlock Riverwalk as your first mech in the game, although I bet there is still incentive to do so. I enjoy Scythe a lot so far, and this would be the first must-have expansion which adds several interesting elements to the game. Cry Havoc: Aftermath – I really have enjoyed my first plays of Cry Havoc and this is one I need to get back to the table. People claim there are balance issues between the factions, but I don’t buy into that. I like a game that rewards repeated plays and finding out how to adapt in order to win, which means the game will remain in our collection. This expansion promises to take what is a good game and make it even better. Kingdom Builder: Harvest – We’ve determined we both really enjoy this game and want more expansions for the game. We have Nomads now, but that doesn’t mean we couldn’t or wouldn’t jump ahead to grab Harvest before getting the other ones. This is the one game I think she might actually like getting expansions for. Welcome to my fourth Board Game Wish List. This month we’re going to feature a game that is making waves among the Legacy game camp: Charterstone. There are a few reasons that sets this game apart from the others in the field. The first is that is plays 1-6 players, so it is a Legacy game that can be played at lower player counts and therefore is a great game for couples. And some might say the even more exciting news is that this is a Legacy game that can be “wiped” and replayed as a fresh copy. But more on that to come later! In Charterstone, a competitive legacy game scaled for 1-6 players, you construct buildings and inhabit a shared village. 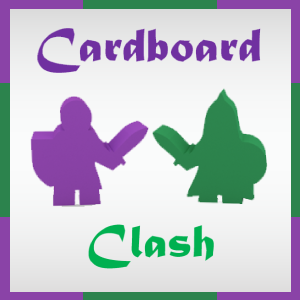 Building stickers are removed from cards and permanently added to your charter on the board, becoming action spaces for any player to use (kind of like Lords of Waterdeep, Caylus and Ora et Labora). Thus, a few available buildings soon grow into a bustling village with dozens of actions. Charterstone is a legacy game, which means you will make permanent changes to the game, mostly in the form of writing on the board/cards with markers (provided by the players) and stickers. You will start out with access to only a small portion of the content in this box. Don’t open ANYTHING unless specifically instructed. There are ways to continue development of a Charter if a person is unable to attend for a session, allowing them to jump in and not be “behind” compared to everyone else. There are more than 75 crates to unlock, contained within a large Index box with a magnetic clasp. You can purchase a Recharge Pack which will allow you to replay the entire Legacy by using the other side of the board and a new set of stickers/cards/rulebook. The game will be a complete, unique, fully-playable game long after the Legacy mode to the game is completed. There are six types of resources collected and used to produce things at buildings. There are a very limited number of each resource (12) so the game is meant to encourage you to spend resources as you gain them rather than store them up for later use. There are also only 36 coins, each a $1 denomination. Further encouragement to not horde this resource. The coins are going to be thick, metal coins. No punching of cardboard in this game! The rulebook is called The Chronicle and begins with a lot of empty spaces where stickers, unlocked throughout the game, will add additional rules. There is rumor that you might even get some stickers to place over the existing rules, updating/replacing them. The game is going to be printed and available in 8 languages. The Automa system comes with 13 cards, but more may get unlocked during the game. The game’s Automa can be used in both single and multi-player games. The Automa’s gameplay contains only five steps: Draw a card, place a worker, gain VP, gain benefits, discard the card. Simple! There will be 5 random advancement cards face-up (and when one is purchased, a new one replaces it) and 3 random objective cards, a progress track that corresponds to the player count, a general supply of 72 resources and 36 coins, and each player’s personal supply of persona card, constructed building card, 2 workers, and 12 influence tokens. First player is determined by rolling the Charterstone until it shows an active character. The 12 influence tokens are used on objective cards, quota chart, reputation track, and other places. If you run out, you cannot use actions requiring them. They cannot be moved and there are only a few ways to regain influence. There are seven types of advancement cards and more get unlocked over the course of the campaign and go into the general supply. When gaining an advancement card, you select from the face-up cards and put it face-up in your supply, flipping a new one face-up into the supply. When new cards are gained or the pile is empty, shuffle the cards into the deck. Assistants are one type of advancement card which give you bonuses during actions. You gain them via the market and can add a name to their card. Constructed buildings are a type of advancement card and add buildings to your Charter. A crate on the card means you keep it to unlock a crate later, one without a crate goes into an Archive box that holds pieces that no longer serve a purpose. You either place a worker onto a building or remove all of your workers from the board during your turn. Moving to an occupied building sends that worker back to its owner’s supply. You must pay the shown cost to move to a building and then gain its benefit. Unlocking a crate gains you VP, moves the progress token, and archives the constructive building card. Many crates unlock new personas. When scoring one of the 3 random objectives, you gain VP and advance the progress token. A player can score each objective only once per game. You can sell commodities to gain victory points and/or reputation, and there are buildings to unlock that may offer additional benefits. There is an end-game benefit of VP for being highest on the reputation track and is raised on the quota and progress tracks and some buildings. The progress track is the timer for the game and advances when a building is constructed, a crate is unlocked, or an objective is scored. It also advances when a player starts their turn with no influence tokens. Each player gets the same number of turns in a game. Scoring the most VP is the object of each game of Charterstone. This game drew inspiration from three heavy hitters in the Worker Placement category of board games: Caylus, Ora et Labora, and Lords of Waterdeep. Not only does it make thematic sense that a building you put into you charter will still be there during the next play, but the ability to use other players’ buildings is a great mechanism to include. Over the course of twelve plays of this game, each player’s charter is growing and developing, adding new places to send your workers. You won’t get blocked from a space forever if someone else builds the building you need – something that is very important over the course of a legacy campaign. An added bonus is that you can still send your worker to where someone’s worker currently is located, sending them back to the player’s supply. So even during the course of the game you are never actually blocked out of a space you really need. Most games rely on Kickstarter to upgrade components, or sell them as add-ons for those who want to “deluxify” their game experience. This game isn’t being run on Kickstarter, which is a great thing in itself. But the even better news is that every retail copy will have the nice wooden components and the thick, metal coins. Some people really love punching out cardboard. I’m one of those who enjoys it. Yet at the same time, this game is going to look and feel great for each and every person who plays the game. There is no chance of feeling like you have something inferior because you didn’t shell out an extra X amount of dollars for the upgraded components. I really love the concept of being able to continue playing the campaign even if a player cannot make a game night. Of course, I can’t imagine who would want to miss out on their chance to play through the full 12-sessions of the Legacy campaign, but the fact remains that some people won’t be able to make every session. Life happens, and to some people their life’s priorities aren’t board games first. Crazy, right? The ability to have an Automa “cover” for them for a game is a stroke of brilliance that will enable groups to make it through the campaign without having to wait for everyone to be able to get together and have the time to play another session. Let’s talk about the Automa for a minute. I’ve become a huge fan of Morten and his Automa system. Viticulture was a simple system to run. Scythe took that same system and beefed it up and it was excellent for that game. They made the right choice with this one to scale back closer to the simplicity of the Viticulture system because you’re going to have more than just solo gamers using this Automa system. Solo gamers are used to, and willing to, think a little more and get more involved in resolving an automated opponent. The casual gamer will want, and value, simplicity in playing the Automa. This was a great decision and the right move for this game. The artwork for this game is fantastic and fitting. Jamey and his team gave special consideration to the visual aspect of this game. For instance, Jamey mentioned that the Pumpkin Market building is constructed using Pumpkin, Coal, and Metal. You can visually see the prominence of the three resource colors: orange for pumpkin, black for coal, gray for metal. Even if you cannot see the name from across the table, you should be able to visually see what it is and what went into it. Gong Studios and Mr. Cuddington did an excellent job from what we can see so far of the game’s visuals. This is a Legacy game that isn’t co-operative, isn’t Risk, and doesn’t require 3+ players. This is finally a Legacy game that my wife would enjoy that we could get and play as just a couple. Over 65% of my logged games are played together with just the two of us, and another 15% is me playing solo. That means 80% of my gaming time is not spent with a group, so being able to play at a low player count makes this a game we’re very likely to be able to pick up and play through the campaign in a reasonable amount of time. I’m guessing we aren’t the only couple out there who has been waiting for a game like this one to finally get into a Legacy game. The idea of the Recharge Pack is fantastic. I’m not sure if I’ll be among those who want to do a second full campaign of the game, but at the same time I don’t see any reason not to do so if it was fun the first time. This would allow me to do once solo and once with my wife. Or we could do one runthrough together and then a second time trying to add a larger group. Since the board comes double-sided already, why wouldn’t you want to end up with two very unique sides that could be played on in their final forms? That, right there, is a stroke of brilliance. Many Legacy games become disposable once you’ve finished. They are nothing more than decoration you could hang on the wall, because the game itself is no longer playable. You’ve reached the end. Some gamers are fine with that. They are one-and-done sorts of gamers. But for those of us who want games that can be pulled out and played time and again each year, this game is wonderful. After the campaign is finished you’ll have your own unique, but fully playable, copy of Charterstone. It’ll be your own copy of a Worker Placement game. I can see this being a trait other Legacy games will try and imitate in the future, because this is something that will make investing in a copy of the game worthwhile. You don’t get just 12 plays out of the game. You get as many as you’d like for the rest of your life. There is such a deep level of consideration that has gone into aspects of this game, many times considering the customer and their experience. If you read the design diary Jamey has kept, (link at the bottom of this post), you’ll get to see some of those decision points and the reasoning along the way. For instance, why he decided to include metal coins into every game. Why he decided to produce Recharge Packs for the game, for those who’ve demanded being able to replay their unique Legacy games without needing to buy a second full copy. The decision on producing the game up front in so many languages. The reasoning behind making naming things optional. The experience involved in “unlocking” a crate. Not only is it fascinating to read that design diary, but it also reflects the customer-oriented mindset they put into the production and experience of this game. I’ve written before about Stonemaier Games and how they’ve made me a customer for life. They continue to do so with their openness and transparency. If you check out that design diary mentioned above, you’ll find that the most recent post in there is being open and honest about a new ship date. A few weeks ago, this game was slated to release in October. It is now pushed back to December, and they discuss the reasons why. That open communication is important, and a huge reason why I am a big fan of Jamey and the team at Stonemaier Games. As he mentions, better to tell us now a realistic date than for us to find out it is delayed a week before it is supposed to hit stores. As of 8/10/2017, the expected release date for Charterstone is December 12, 2017. So what are your thoughts on Charterstone? Are you excited to get a chance to play this game? As you can tell, I can hardly wait for December to get here so I can get my hands on a copy of the game! Leave a comment and let me know what aspects of Charterstone you enjoy/appreciate/are excited for. Welcome to my third ever Board Game Wish List. This month we’re going to feature a game I’ve talked about briefly this year. I’m relatively new to wargaming, but there is no way I’m missing out on this great upcoming title from GMT Games. I had heard whispers of this one on BoardGameGeek so long ago, and I’ve been keeping tabs on its development for quite some time now. I was able to reach out to the designers, Marc Gouyon-Rety and Volko Ruhnke, and get some special previews to help shape the content for this post. I cannot wait for this one to release, and I hope that I can help get you excited, too, for what is certainly going to be an amazing game! ~Note: Images used may display various prototypes of the maps, components, and more. Furthermore, all rules and discussion are based off a pre-production presentation of the game, so images seen and items mentioned may change by the time the game is finished and ships out. **Warning: This post is massive, but very much worth the time to read it. I’ve broken things down into manageable chunks, covering a host of aspects about the game up front. There is a lot of excellent information in there, some coming straight from the website and/or rule book, while other bits are coming from my own attempt to streamline the concept of the game. Near the bottom are the reasons I’m really, really excited about this game. I won’t judge you for skipping to that part, but by breaking this into chunks via subheadings, you can read a section or two at a time and come back after your brain has processed all that information. This game is going to be deserving of such long, focused attention! Shrouded in mists of myth and legend, this story so foundational to many national groups has been subject to many different narratives and interpretations. The traditional Victorian vision of brutal and violent conquest of Roman and Celtic Britain by Anglo-Saxon raiders and invaders nowcollides with modern historical views ranging from continuity of tribal rivalries to quasi-peaceful cohabitation and acculturation. Pendragon is a board game about the fall of the Roman Diocese of Britain, from the first large-scale raids of Irish, Pict, and Saxon raiders to the establishment of successor kingdoms, both Celtic and Germanic. It adapts GMT Games’ “COIN Series” game system about asymmetrical conflicts to depict the political, military, religious, and economic affairs of 4th and 5th Century Britain. In Pendragon, one to four players each take the roles of one or more Factions in Britain: the post-Roman army in Britain seeking to maintain imperial order and perhaps morphing into warlords; the landholding civilian aristocracy of the Romanized Celtic Britain tribes aiming to recover their independence while preserving their lands and wealth; the Germanic peoples (Saxons proper, Angles, Jutes, and others) threatening Britain as they look for new opportunities across the North Sea; and the non-Romanized Celtic peoples from across the Irish Sea or from the cold North (mainly Irishmen and Caledonian Picts) eying the disintegrating provinces with appetite. Issuing commands and exploiting their Factions’ special actions and various events, players build and maneuver forces to influence or control the populations of Britain, extract resources and build renown, and achieve their Factions’ aims. Cards regulate turn order, events, and victory checks. The game’s most important functions are summarized on several aid sheets. The last few pages of this rule book list key terms in an index and explain how to set up. New players should start with the tutorial in the Playbook. There is so much that is going on in this game, it is enough to make a person’s head spin at a glance. This is far from a light game and if you pick up the rule book, look at the map, or consider there are four factions with unique goals and objectives in the game, you might go run and seek the comfort of your game of Splendor with its simple, straight-forward, always-use-the-same-strategy gameplay. There are four different factions vying for certain goals within Britain. The game takes place around 400 A.D. to begin and, depending on the scenario played, could span anywhere from 2-6 Epochs. The longer the game, the thicker the deck and the harder it might be to reach those win conditions. There is also a short scenario in there which reduces the win conditions on two of the factions. The Roman Dux faction – Depending on the point in time of the game, they are either adding their Prestige value and Prosperity (with two different possible values needed depending on the game state), or Prestige value and Population. The Civitates faction – Their sole goal is to influence the population under Britain control via resettling refugees. They are the British nobles, trying to throw off the Roman control while warding off the invaders. The Saxon faction – They are trying to increase their Renown while also forming Settlements in Britain. They can also win by controlling population on the island and shifting things into their favor through settlements. Think of this as trying to increase their glory while also “peacefully” settling the land they are invading. The Scotti faction – They have similar objectives to the Saxons, needing both Renown and Settlements on the map. However, they are not trying to control the population. During the game, cards are played from the deck one at a time, with one card ahead (so the next in the queue after the current one) revealed to all players. Each Event card shows the order in which the Factions become eligible to choose either that Event or from a menu of their unique list of Commands and Feats. Executing an Event or Command makes it so that Faction is unable to do that on the next available card. In the deck there are also Epoch cards mixed in, which provide opportunities to fulfill instant win conditions and complete activities such as collecting resources. This cycle will continue until either the Epochs are all complete (there are two in a short game, four in a medium game, six in a long game) or until one player fulfills their win condition. There are a ton of excellent aspects to this game, and those are all covered by the GMT Insider articles far better than I could do. At the very bottom of this post, you’ll find links to all ten current articles which break down one core mechanic at a time in an effective way. And hopefully by now you haven’t been scared off from the game. It might be a little intimidating, but you can handle it. For a deeper dive into what this game includes and what the factions are, I can make no improvement to the description of this game found on GMT Games’ website. Accessible, powerful but fickle Foederati: barbarian warbands in Britain employ. The Saxons represent various Germanic groups including Angles, Jutes, Frisians, and Franks who harried, settled, and eventually took over swaths of Britain. As outsiders, you face a steep challenge just to come ashore against the might of the Roman army and navy. You will chip away at the Saxon Shore system, ravage the provincial economy to weaken the Britains’ capability to wage war, and see some of your best warriors serve as Foederati (often against yourself), but recognize that the more Saxonsliving on the island—whoever their paymaster—the more opportunities for advancing your nation. Eventually, you must secure footholds, perhaps in the marshy fens of the eastern seaboard that so resemble your homelands, in order to wield your considerable military potential and challenge the old masters of these rich lands to create England. The Scotti, named for the marauding groups of Irish raiders, also represent those Celts native to the island of Britain who differed from the romanized Civitates by remaining true (or reverting back) to the old ways. Often, the boundary between the two groups was porous… The biggest such group eventually formed the northern nation of the Picts, forebears of modern Scotland. As the Scotti, you see the disintegration of Roman Britain as an opportunity not so much to expand as to seize riches and renown to assert yourself at home. Raid ceaselessly, surprise and plunder poorly protected communities, kidnap for ransom, and show your military prowess against your unfortunate neighbors across the Irish Sea and Forth-Clyde isthmus… Then establish bases strategically along the enemy shores and entreat local hill tribes to reject post-Roman authority. But beware that your very advances will help give rise and limit your ability to grapple new powerhouses on the island! So as Britain, the Island of the Mighty, is engulfed in the din of swords and spears and the acrid smoke of burning thatch, will you join the packs of wolves who feast on the once proud Empire, or will you rally the Dragon standards of the Pen Ddraig, the Chief Dragon, lord of battles of the Britains, to try to preserve your people’s lands and wealth? Let’s start with the easiest reason, which has little to do with the gameplay itself: The setting of the game. Arthurian Britain, 4th-5th Century A.D. The end of Roman Britain and the beginning of what is frequently termed as the Dark Ages. This is a period that is certainly underrepresented in board games, and I really love how they have taken the approach of steeping it in the history of the period rather than looking toward the romanticized version of the Arthurian era. Could King Arthur have been around with the knights and castles and jousting and courtly love and chivalry and everything else we see in modern Arthurian film and literature? Sure. But the most likely historical scenario for Arthur was right around the Roman decline in Britain. I absolutely love the choice of setting. The name, Pendragon, drew me in. Even though it isn’t really an Arthurian game, I really enjoy the setting that was chosen. It is no secret that I love asymmetry in game, and this one has that in spades. There are four factions that all start under different conditions. They each have their own unique list of commands (sure, there are some similarities but that have their unique flavors), their own unique set of feats, events that harm or help each faction differently, and win conditions that are different. Hidden within these four asymmetric factions are two sets of factions with similar interests that pair perfectly for a 2-player game yet provide interesting dynamics with higher player counts. I’ll discuss this more later when talking about the Dux and the Civitates. The Commands, Feats, and win conditions are all thematic from a historical standpoint. They aren’t diversified just for diversity’s sake. This helps to represent what each of these different nationalities valued and fought for within the upheaval during this period. When you understand just a little bit about that faction and their goals, it begins to make sense as to why you are doing certain things and why you are trying to accomplish certain goals. These are the small details that a game could gloss over and be forgiven if done in the name of gameplay or balance. To see it executed so well, at least on paper, is something that makes me excited. Players will learn while they are playing the game, gaining a deeper appreciation for the period in history as well as the unique struggles faced by those factions. All these historical things don’t just happen by chance; Marc has shared some of the books that formed his reading list about the period. Reading some of those titles has me not only praising the designer and his efforts, but also adding these things to my own reading list. Which doesn’t need added to, really, but I can’t say no to titles like “Arthur and the Fall of Roman Britain – A narrative history for fifth century Britain” by Edwin Pace, “Britannia, the Failed State – Tribal conflicts and the End of Roman Britain” and “Warlords – The struggle for power in post-Roman Britain” by Stuart Laycock, and “Civitas to Kingdom – British political continuity 300-800” by Ken Dark. Yes, those titles get me excited for reading…which is a fairly new occurrence in the last few years. I can imagine pairing these books with playing the game a handful of times will really help the items on the page come alive. There is friction between the two factions that begin the game on the map: the Dux and the Civitates. On one hand, you have the Dux who represent the Roman forces who are trying to hold onto their power in Britain. Their power at the start allows them to tap into the resources of the current residents of Britain in order to fend off the off-shore invaders. The Civitates, on the other hand, are the wealthy class of Britains who not only want to drive off the invaders, but also to shrug off the control that Rome has over their population. There are times when it is in the best interest of both parties to pool together with the raiding warbands along the coasts, but ultimately they both want something different. So while it may start the game feeling like a 2 vs 2 or a 2 vs 1 vs 1 matchup, there comes a point where those common interests divide along separate paths. I absolutely love this design! Don’t like playing two sides in a 2-player or 3-player game? No problem when it comes to this game. While the primary use of the Non-Player flowcharts and other items would be in solo play, they could easily be implemented in a 2 or 3-player game of Pendragon. This makes it so you only have to focus on your one faction and what they are trying to accomplish, while at the same time having the unplayed factions simulate their set of actions. Some may argue this presents more work for the people at the table, but you’ll find that the system they created for the non-players is a wonderful addition to the game and well worth the effort. It isn’t trying to be as streamlined as an Automa system, and it will be rewarding for those who stick with trying to implement it into a game. Did I mention solo play? So many wargames out there are “soloable” by playing both sides of a combat to the best of your ability. In many wargames this works because there is not really much to be found in the way of hidden information. The system in this game takes solo wargaming and turns it up to 11. Yes, it will require work on the part of the player. But wow, just from reading the rules I can already tell the payoff will be a solo experience that few games can deliver. This has me very, very excited to try it out with solo play…and that is probably the best way to go about learning the non-player system. If you’re playing with other players, you’ll want at least one person who understands and can smoothly operate those non-player factions in order to avoid things being bogged down. An indirect side note, but an important one: this is the eighth game in the COIN series of games. Which means if you want to understand some of how the game will play, there are already a handful of games you could sit down and play, or watch played, in order to get a good grasp on how this one will work. Sure, things will be different than what you’ll see in Pendragon, but there is something positive to be said for a game system that players have already seen and tested. It means there will be some great polish on the mechanisms and gameplay because some of those potential wrinkles have been ironed out in previous titles. The man behind the COIN system himself, Volko, partnered with Marc to help refine the game as it developed from concept to finished product. That means this game, once you get it to the table and understand how it works, is going to be stellar. Which inspires confidence in this game, because the core of the system is going to be a solid foundation. And that is all I’ll list for now. I could probably add more reasons, and I might add some more in as I think of important ones to include. But I hope you’ve gotten the idea by now as to why this game is so high on my anticipated release list. I’ve never played a COIN game before, but this one has me interested in the system. Be sure to check out the GMT Insider articles below for some excellent information about the game and the key mechanics. Instead of a wishlist feature about one of the Stonemaier Games products out there, I wanted to take a different approach and discuss the company itself and how they have already made me a dedicated customer for life, even though I am yet to own a single game of theirs. There are four things I will discuss that the company itself has done to set itself apart from many other board game publishers out there. This isn’t to say that Stonemaier is better or worse than publisher X, but rather to cheer them on for what they are doing that I, as a consumer of board games, appreciate. They have passed along vast amounts of knowledge about the designing, developing, and distribution of games. If you haven’t read Jamey’s blog, you need to add it to your to-do list. This man has taken all of the lessons he has learned and compiled them into helpful blog posts that are free for everyone to read. This is a place everyone who is designing and publishing a board game should be following, and even those who have no desire to ever make their own game can learn a lot and find interesting reads over there. I don’t know that I will ever attempt to make a game myself, but I have a lot of respect for the transparency of Jamey about the process he has gone through and his willingness to help others learn from those experiences. They aren’t sticking to what worked, but are still testing things out to try and find the best way of doing business. Like it or not, many gamers are starting to view Kickstarter as a glorified preorder system where a company can take all the risk out of a game by collecting money months, or even a year, in advance. There are companies, such as Cool Mini or Not, who continue to use it for every miniature-packed game they produce and reap the rewards. No doubt Stonemaier Games would have equal levels of success on Kickstarter with their upcoming game, Charterstone. But they have opted to try a new path of publishing for the game rather than continue to tempt and tease us with stretch goals, “exclusive” content, and upgraded components. And I really respect their desire, now that they are larger and better known, to find out what avenue of distribution works best for all parties involved. They are willing to listen when it makes sense to listen. Every Kickstarter campaign will bring about backers who make suggestions for how games should change, what content should be added, what stretch goals would entice them with more money. Jamey has said, in podcasts I’ve listened to, that there are valuable suggestions in there and that you need to be wise in choosing what to consider and what to pass on. But I was really impressed by his visit on Low Player Count’s podcast and his discussion of including solo play in his games. Jamey has never been a solo gamer, but when he was approached about the importance of designing and marketing for that player count, he listened. And he has gone all-in on that idea, allowing Morten Monrad Pedersen to pursue the solo development the games needed. And, from what I hear, it shows. His games are friendly for all player counts, and as a player at 1 and 2-player counts, I really appreciate that. They make taking care of a customer a priority. I recently had the chance to play Viticulture for the first time, teaching it using the copy a friend had obtained used. I was prepared to teach everyone the rules, but the board had me confused. I learned later that there was only the Tuscany board in her box (which she didn’t know) so we had played the game on the more complex board (blocking out the spaces that didn’t match the base game). I tweeted to Jamey about it and he wanted me to have her email him and they’d get it taken care of. Not only did they come to a fair arrangement about the replacement board, they helped her to figure out what else she needed to fix from the 1st edition of the game in order to get it current. That, my friends, was the thing that sealed the deal for me. Excellent customer service from a fantastic company. I could add many more reasons, including how active Jamey is on BGG and social media, how Jamey has conducted surveys of customers to find out their wants/needs from games, and talking about how fantastic both Scythe and Viticulture were when I played them. But this is enough. I look forward to the day when I purchase my first Stonemaier game, and even moreso when I review my first Stonemaier game. They have made me a customer for life, and the inclusion of 1-2 player playability in their games has made all five of their games hit my wish list. Keep up the outstanding service in the board game industry, Jamey and Stonemaier games. This is the second of what I hope to have as a semi-regular series of posts (by semi-regular, I mean at least once a month!) to highlight a game that I really can’t wait to play. It might be a game that is not out quite yet but is going to be coming soon. In those instances, there might be links to preorder pages, and other early promotional material to discover. Other times it might be a game that is already out that I either have never played, or have played only once and it has left me craving so much more. Which is the case this time around, since I have played the game once and it has since leapt to the very top of my wish list for board games. Either way, I hope to spread the word about some games that may not be on your radar quite yet, but they have somehow found their way onto mine. As a note: This series of posts are all strictly done by me and of my choosing as a fan of a game. There has been no compensation, nor encouragement, by the publishers/designers to make the post. This is purely a labor of love, with the intention of spreading the word about a game I really want and think more people should know about. Without further delay, here is a little bit about Albion’s Legacy! Albion’s Legacy is a fully cooperative modular-adventure game for 1-4 players (expandable to 6 with expansions). It plays in about 90 minutes and was published by Lynnvander Productions and Jasco Games. The game was designed by Thomas M. Gofton, Aron Murch, and Cameron Parkinson. In Albion’s Legacy, King Arthur and his allies explore Albion in search of specific Realms, while trying to collect enough Quest Coins to win the game! As the Realms are explored, various Enemies will stand in the way, and must be Challenged by rolling the Stones of Chance! Meanwhile, Despair threatens the land! If the Flames of Hope are extinguished, or all Virtue is lost, the kingdom falls! It’s up to you to triumph against overwhelming odds! This is not an easy game by any means! You begin in Camelot, on a board with a handful of areas to travel to and explore. Yet the game’s objectives, found on whichever one of the three Story Cards you choose to play, will force you to explore beyond that board, exiting through one of three different spots on the board. As you travel beyond, you will flip over a tile of the matching terrain type and place it down along the path. The vast majority of the areas are modular in this manner, creating a different experience for each and every play of the game. Not only must you be lucky enough to draw the area tiles you are seeking, you must also combat hordes of enemies who get generated through many of these tiles. Every time a threat tile is flipped, the top card of either the Roaming Threat or the Severe Threat deck is revealed. A die is rolled to determine the number of creatures of that type to spawn. After resolving the threat card, a token is moved on top of that deck to indicate the other deck is used with the next threat tile. Which means every other tile brings out a Severe Threat, which are usually Named Characters who are difficult to defeat and come with their own set of baddies to slay. Victory will come from completing the tasks set forth on the Story Card AND through collecting 3 Quest Coins per player in the game. Defeat will come at the end of the tenth round, through not having enough Quest Coins at the beginning of the turn after the Story Quest is completed, or having all of the Flames of Hope extinguished. Each player will control at least one character from Arthurian Lore (2-Player game has each player controlling 2, 1-Player game you control 3). These characters have starting equipment, slots for new equipment, enemies they are favored against in battle, starting stats in five different categories (which determines how many dice are rolled), and their own special, character-specific quest they could complete in order to earn their own unique item. Combat is as simple as choosing one of two stats that are usable against the enemy type you are facing, rolling dice equal to your stat. Each die that shows that symbol is 1 hit, and there is a Burst symbol that is a “wild” side and counts as 2-hits regardless of what stat you are using. Standard enemies usually need 3 hits to be defeated, named enemies usually need 4 hits. If you fail to defeat the enemy, you can discard a Destiny Token to reroll dice, or take a wound. Some equipment can be “broken” in order to prevent a wound. Most characters can take a maximum of two wounds before they are retired from the game. And there are so many expansions! Albion’s Legacy, and the expansions included in the Deluxe version don’t have any cards that are drawn during the Key-Turn, or tokens that effect multiple Realm Tiles. The cards added in this expansion are drawn each Key-Turn and add new tokens to the play area. The Wildfire tokens, and Flood Tokens make traveling through the Realms of Albion an even more harrowing ordeal, and the Corruption Tokens deal damage to characters on all surrounding Realm Tiles. If you are especially daring, you can cleanse the corrupted Realms, and construct new Flames of Hope, increasing the length of the game! And the SEVENTH Expansion, Errant’s Journey!!!! Arthur and his allies have explored the Realms and saved Albion countless times. Now, new lands emerge from the mist, Outerworld Keeps, and the Lost Bastion… These ancient structures act as a refuge for Arthur and his allies, a much needed refuge in these troubled times… As Arthur and his allies explore the lands, they are attacked by more organized enemies intent on stealing their inventory, and hindering their efforts; brigands of all types stand in their way. None of the previous content for Albion’s Legacy includes new boards for the heroes to explore. This expansion introduces 3 new side-boards: The 2 Outerworld Keeps are new, magical castles that can only be accessed through Warp Tiles, and the Lost Bastion is a new castle that can be connected to a Realm Tile far from Camelot, creating a refuge for the heroes. This expansion also adds a series of Disaster Cards that turn core enemies into brigands that relentlessly hunt the players and force them to discard their Inventory Cards. These brigands can be challenged like normal enemies, but have to be dealt with before the Key-Turn to prevent them from stealing the players’ gear! First and foremost, the Arthurian theme is outstanding. This game was clearly a labor of love by the designers, because there are so many Arthurian nods throughout the game to a variety of source materials. de Troyes, Malory, and more get their subtle homage in this game and I’ve hardly scratched the surface of exploring this game. I’ve played once, with someone else’s copy, so there wasn’t time to sit and revel in the Arthurian abundance. But I experienced enough to know that this game gives genuine homage to the source materials and is a must-have for any Arthurian fan. Only Tolkien rates higher for my literary fandom, but Arthurian has been a fandom of mine since childhood. This game pulls no punches. No doubt about it, this is a very challenging cooperative game. I have only the one play under my belt, but we came nowhere close to winning on the “easiest” of the three Story Cards. I absolutely love a game that presents a challenge dependent on more than just blind luck. Dice rolls will factor into things. The flipping of location tiles will factor into things. But in spite of those two random elements, there are so many approaches and avenues to explore that can help to mitigate those risks and help you to overcome the challenges. Even with three Story Cards in the base game, there is going to be a ton of play that can be explored. And the rulebook has both suggestions on how to make the game easier (if you like to win) or how to make it even harder (if you like to never win!) when you play. I really like the semi-modular gameplay of this. The board will never play out to be the same for two games. Many of the tiles in the stack have 2-3 terrain types shown, so even there you have multiple parts of the board where things can appear. How far you’ve explored helps to determine where the baddies can spawn. An early threat tile means the castle is likely to be swarmed. Later threat tiles can see those threats spread far from the castle, but it might place them along your path instead. It all blends together well to make a fun, replayable system that might be a little on the fiddly side but it ensures early tension in the game and a fresh experience every play. The AI for the enemies is very simple. They will either remain stationary, move toward the closest player, or move toward a certain objective. The card you flip will tell you how they are supposed to interact. What may start as a small, spread out series of enemies can eventually sweep into a massive, sprawling swarm that would make any colony of Walkers from the Walking Dead envious. The worst was having a named enemy who chased the nearest player and, if he was defeated, bad things would happen to us that would make the game end sooner. But by ignoring him, we not only had to avoid him but he also made it so certain enemy groups would never be eliminated completely and thus blocked those Quest Coins from getting collected. The game presents really hard decisions. You need to decide what way to explore. Where to place the enemies that spawn. What enemies are worth fighting and which ones are best ignored. You need to stop on a space with a weapon/armor/item icon in order to draw cards from decks that make you stronger, but that can feel like a waste of part of your turn. Named enemies will spawn that wreck havoc if left ignored, yet they might not be worth the time or resources invested to travel to them and fight them. Your health and rerolls are not in abundance, so they need to be managed wisely or you’ll retire a character and bring the end one round sooner. You can stop on spaces that boost the other characters’ rolls on certain attributes but, again, it might seem like wasted opportunity if you end movement early to land on that space. Should you try and meet your ally to swap items so you both have greater benefit from the cards, or just hang onto the less effective items and use them to absorb wounds? Every choice will feel like it matters. Which leads me to this: the overall experience is one that is rivaled by few games. You’ll feel like you are exploring in Arthurian areas because the tiles and enemies and cards evoke the theme well. The game will challenge you, forcing you to play time and again simply to defeat the three scenarios that come in the base game. It will change every time, so there will never be a chance to “solve” the game over the course of those plays. You’ll agonize over decisions and second guess yourself at the end, wondering if you did X differently or didn’t do Y then would you have won? Or at least come closer to winning. This is exactly the solo, and co-op, experience that provides memorable gameplay and becomes a long-lasting staple in a collection. This is a game that, after one play, I am confident has a chance to join War of the Ring as a permanent feature at the top of my game list each and every year. It surprises me how little discussion I find about this game. I’ve had the chance to play it only once, but that was enough to leapfrog it to the very top of my wish list and there is remains, even after my very recent plays of Scythe (which would be my current #2 wish list game). Albion’s Legacy is a fantastic game, and it hits all the right buttons for a co-op game I’d want to play with others even if the theme wasn’t such an amazing one. I wish there was more buzz for this game and the others in their Legacy series: Sherwood’s Legacy (Robin Hood), Neverland’s Legacy (Peter Pan), and the recently-kickstarted Gascony’s Legacy (Three Musketeers). As of right now, Albion’s Legacy is sitting as the #4,113 ranked game on Board Game Geek, which is a massive shame. It easily deserves to be a top-500 game and is destined to be a top-5 game for me if I get to play it more. There are only 4 video reviews and 2 text reviews. I simply don’t understand that, because this is a fantastic experience and I am certain the other Legacy games are deserving of equal praise. This is the first of what I hope to have as a semi-regular series of posts (by semi-regular, I mean at least once a month!) to highlight a game that I really can’t wait to play. It might be, like this one, a game that is not out quite yet but is going to be coming soon. In those instances, there might be links to preorder pages, and other early promotional material to discover. Other times it might be a game that is already out that I either have never played, or have played only once and it has left me craving so much more. Either way, I hope to spread the word about some games that may not be on your radar quite yet, but they have somehow found their way onto mine. Without further delay, here is a little bit about 1066, Tears of Many Mothers! 1066, Tears to Many Mothers is a card-driven historical wargame for 1-2 players. It plays in 25-35 minutes, and is being published by Hall or Nothing Productions. The game was designed by Tristan Hall, and the fantastic artwork on the cards was courtesy of Anna Kryczkowska. In this game one side plays as the Saxons and the other side as the Normans. Both decks are asymmetrical, which means that they both play in an unique way that feels different than the other deck. Which, might I mention, is one of my favorite aspects in a board game. The game attempts to recreate the Battle of Hastings, which changed the course of England’s history in 1066 and signaled the beginning of the end of Anglo-Saxon England. This game is absent of two common features for most card-driven games these days: deckbuilding and collectability. There are no additional packs of cards to buy to customize your deck, which also lends itself to the lack of deckbuilding. What you need to play comes in the box, prepackaged and ready to shuffle and go. For some gamers this will be a major appeal (my wife, for instance, has never shown an interesting in building her own deck when we play games like Ashes: Rise of the Phoenixborn or A Game of Thrones: Card Game). Others might find this a restriction on its potential playability. After all, the cards never change so there is the potential for the game to run its course. But because this game is strictly card-based, much like Star Realms, I imagine the price point for this one will make it a game that most people would be willing to pick up even though it might eventually “grow stale” for them. And don’t look now, but you might actually learn a few things while playing this game. The characters are all historical participants in the Battle of Hastings, based on information found in the Domesday Book. The events, tactics, and units found on the cards are all accurate pieces of information from the historical battle itself. Who said learning can’t be fun? Players take turns playing cards and building their armies through the deployment of units, tactics, characters, and attachments. Each side must face and overcome objectives facing their Leader in the run up to Hastings, which means that the sides of the battle don’t begin on the actual battlefield to start. The first player to arrive at Senlac Ridge gets to shore up their units (which I assume means they will gain a competitive advantage) and once both sides arrive the battle between the armies begins. The battle itself is divided over three wedges of troops, with each side trying to inflict ten points of damage onto a wedge. A wedge can contain up to three troops, so each side can bring out at most nine cards total. The first player to claim two of those three wedges wins the game. The game can also be lost if your draw pile is empty at the start of a turn, or if your leader is ever defeated. The theme was the first thing that caught my attention. I’m not a huge wargamer, or even a huge history buff, but Anglo-Saxon England is one of the few periods in history that I really get excited about. The year was a critical one, and it covers a crucial battle that took place during the history of England. Even before I knew it would have a lot of historically-accurate information in the game, I was interested because of the promise in the title. I alluded to it previously, but I can appreciate a game that is completely self-contained. There will be no booster packs to buy, no careful manipulation of decks needed in between plays. I enjoy games that contain both of those things, yet sometimes I just need a game I can pick up and play when the mood strikes. It is a reason why Star Realms has been a big hit for us this year, and is a reason why this one will be another welcome addition. There is always room in our collection for a game that is the complete experience from day one, play one. The artwork on this game is so stunning. It is a shallow reason to like a game, but it certainly enhances the overall gaming experience. Even in the midst of a losing campaign, at least your cards will look good while getting decimated! In all seriousness, this is an area where they could have put little effort and still had a solid product that played well. Games like Dominion and Star Realms have decent, yet not memorable, artwork as a whole yet they are still great games. The value placed on making the cards unique, and appealing in their artwork, could be the small detail that elevates the experience to a higher level. The player count on this game is perfect for us as a couple. It plays just 1-2 players, which means I can pull it out even when my wife isn’t in the mood to play a game. And even if only one of us happens to really enjoy the game, it would still maintain a spot in the collection because it supports solo play. That is very important for a game like this, where I am really drawn toward it because of my own interest in the history of that period and my wife doesn’t share the same historical interest. The way this game progresses is very unique, at least in my experience so far with card-driven games. It isn’t like Dominion where you are collecting victory points. It isn’t like Magic: The Gathering or Star Realms where you are trying to deplete the health of your opponent. It isn’t like Ashes: Rise of the Phoenixborn or Summoner Wars where you are trying to defeat the leader of your opponent’s troops. I really like that you are competing to be the first to capture two out of three wedges. But even more than that, I love the idea of navigating objectives to even “arrive” at that battlefield in order to capture those wedges. This, at least on paper, sounds like a really fun and interesting approach to the game. There you have it, a brief overview and preview of a game that I can’t wait to try it. Look for it to appear on Kickstarter on June 1st, where I am sure we will learn even more about this game than is already known. I am including an attachment here, which is their current press release about the game. You will be able to see some more of the artwork, learn a little more about the game, see some of the awards it has already obtained, and read some early review snippets for the game. I hope you found this to be helpful. Comment and let me know if this is a game that you had heard about prior to this post! Is that a game you’d be likely to consider, based on this post and the press release?